An article from the Daily Mirror, “My dad’s overalls gave me terminal cancer”, tells the story of Trevor Albury, 63, who was diagnosed with terminal mesothelioma in January 2012, years after indirect exposure to asbestos dust. Trevor was around five years old at the time his father worked around raw asbestos fibers at Cape Asbestos Factory, and every night he would run to his father and give him a big hug to welcome his dad home from work. Trevor’s father, Albert, was directly exposed to asbestos every day at work. 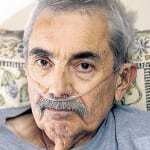 When Albert got home, he used to shake the asbestos dust and fibers off of his overalls before walking through the door, then give them to his wife to wash.
Trevor was shocked at the news that the doctors gave him this past January, when they informed him that his cancer was an asbestos-related cancer, mesothelioma. He had never worked directly with asbestos, but he recalled how his father used to bring asbestos dust and fibers home on his work clothes. Trevor barely remembers the time in his life when his father worked at the Cape Asbestos Factory, since he was only five years old, but it is the only thing that he thinks can explain his mesothelioma diagnosis. Trevor and his wife Jean want people to be aware that this could happen to anyone, directly or indirectly exposed to asbestos. Generally, in the past 25 years the rates of mesothelioma have gone up three times in women, mostly from secondary asbestos exposure by washing clothes of their husbands or fathers who worked around asbestos in the past. 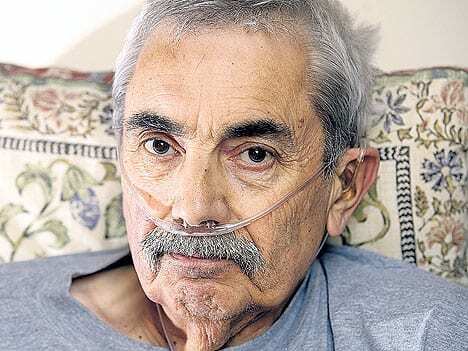 Even though the events in this article did not take place in North Carolina, second-hand asbestos exposure and subsequent tragedies, such as Trevor’s mesothelioma, can happen anywhere. Often times it can be determined how the asbestos exposure during childhood happened and, in turn, an asbestos lawsuit for legal compensation can be filed on behalf of the mesothelioma victim or his surviving family.